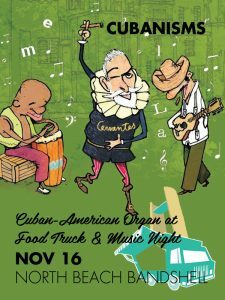 Get your Cubanisms book signed by author Pedro Menocal and illustrator Gustavo “Garrincha” Rodriguez, while listening to incredible live music by the Cuban American Organ, and enjoying dining treats along the Ocean Terrace at the City of Miami Beach’s monthly Food Truck Fest. 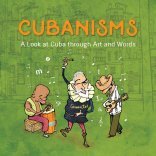 Pedro and Gus will discuss the book, which shares some history and humor about the historic value of Cuban phrases. Praise for Cubanisms from the great Cuban-American poet, Richard Blanco! Pedro interviewed on Univision for Al Punto Florida!